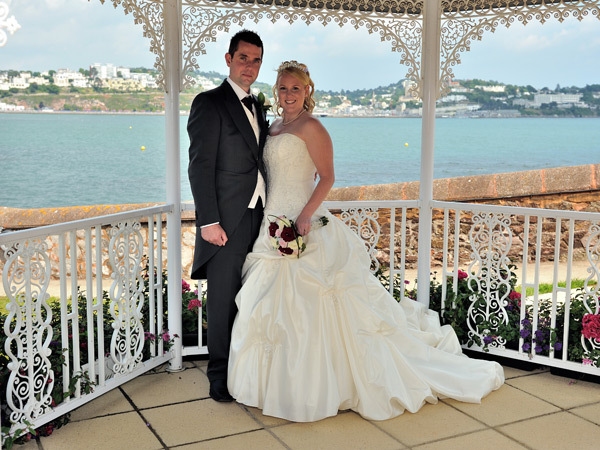 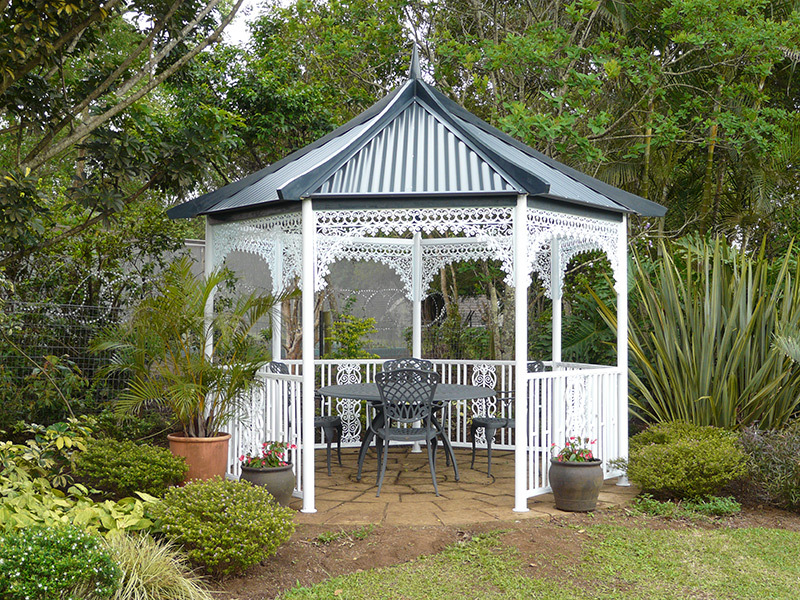 Patio Lace & Gazebos is the premier designer of Pembrook, Augusta, Himalayan Gazebos and Summer Houses worldwide. 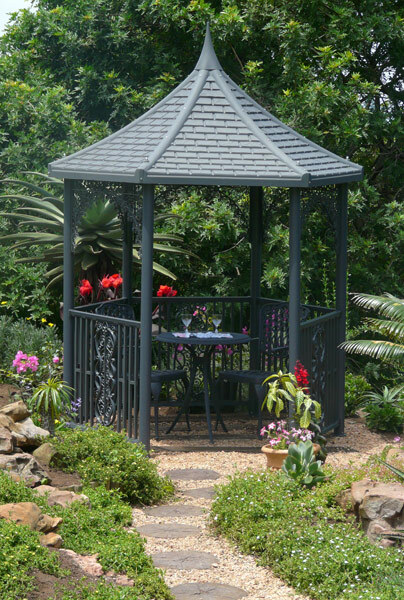 We have the ability to re-unite you with your garden, make you fall in love with it again. 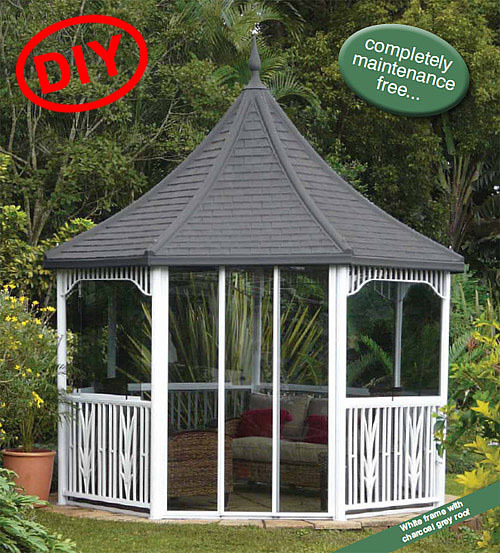 The Patio Lace range of Maintenance Free DIY gazebos and Summerhouses has the perfect solution for you: from creating a relaxing space in your garden to being a beautiful focal point at your wedding. 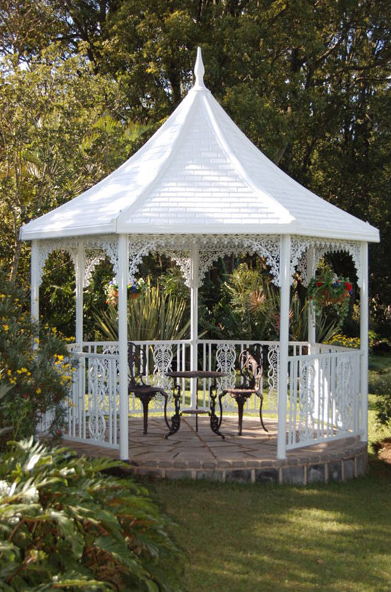 Available in various sizes and styles, Patio Lace has the Summer Houses or Pembrook, Augusta and Himalayan Gazebos for sale that you have been searching for. 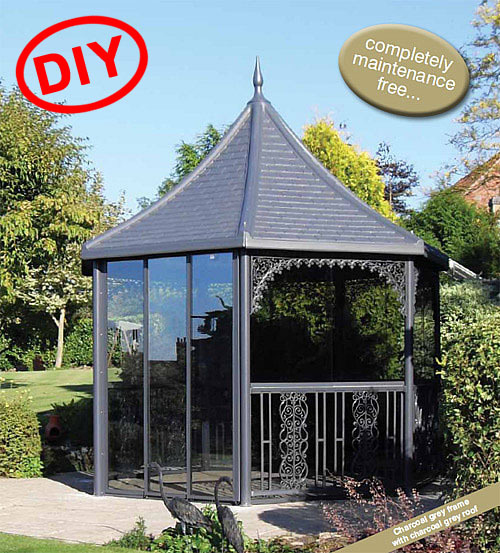 Manufactured from maintenance free materials such as extruded aluminium and UV stabilised polymers, the entire range of gazebos and Summerhouses are available in DIY kit form which the homeowner is able to erect within a matter of hours. 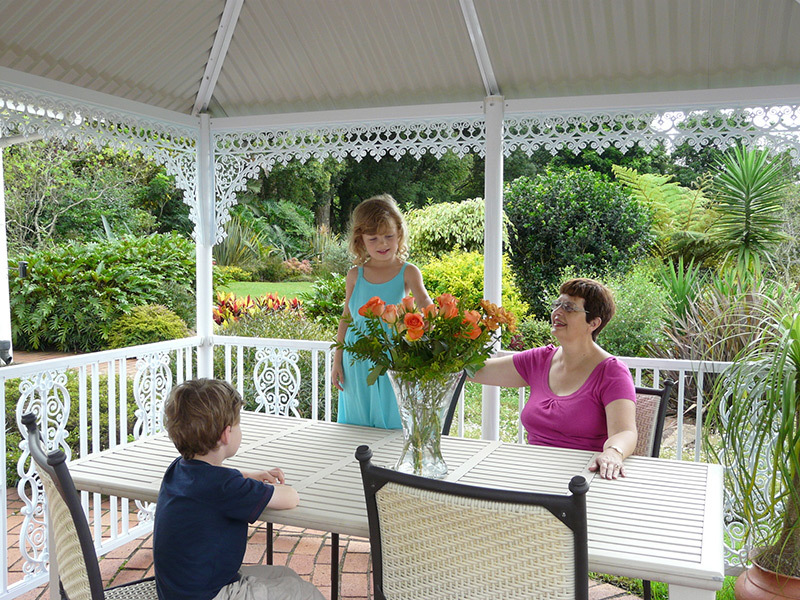 Erect the gazebo in the morning and have the family around for a meal in it by that afternoon. 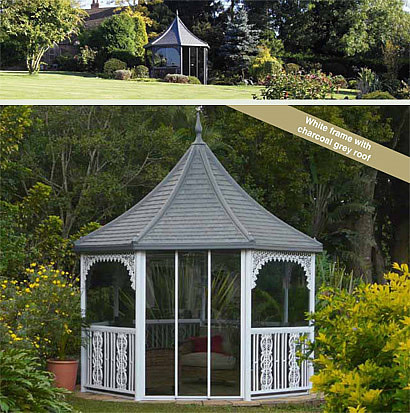 New to the range is the Patio Lace Summer House where we enclose one of our gazebos in toughened safety glass. 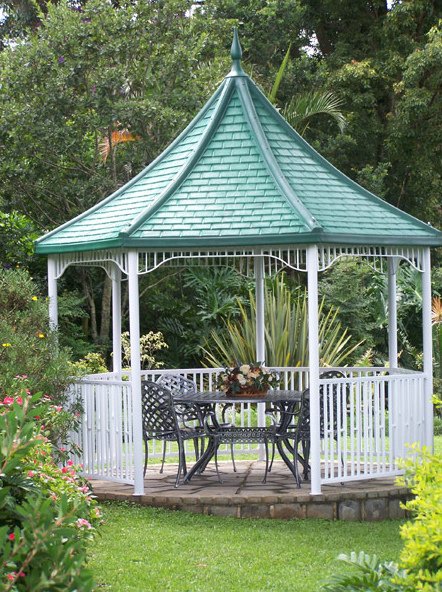 Completely weatherproof, the Patio Lace Summerhouses offer 4 mm thick toughened safety glass windows and doors. 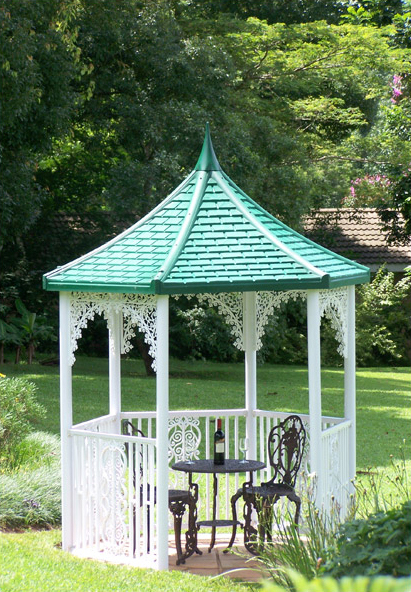 Patio Lace also manufactures Vinyl Gingerbread trim (Broekielace) which is a beautiful decorative trim used on carports and verandas. 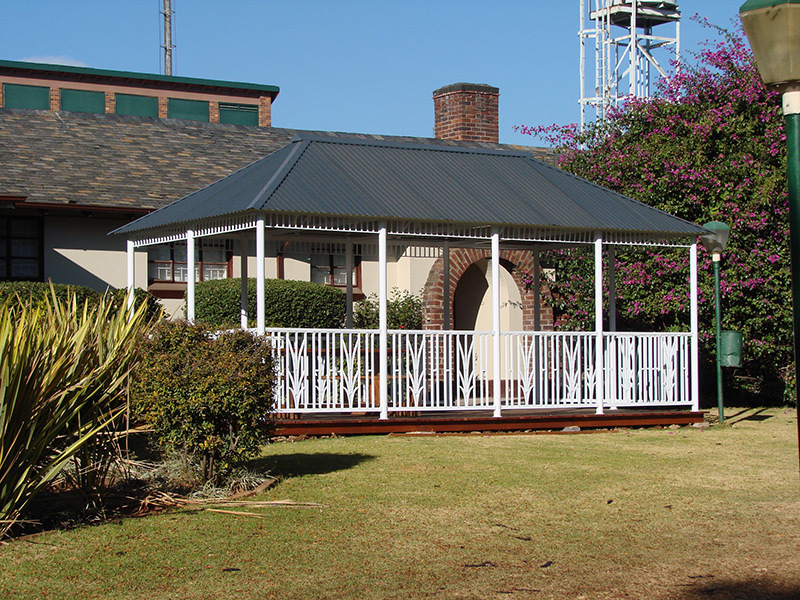 Available in the traditional Victorian Style or our new Contemporary Style, this trim will add life to your home and increase its value dramatically without breaking the bank. 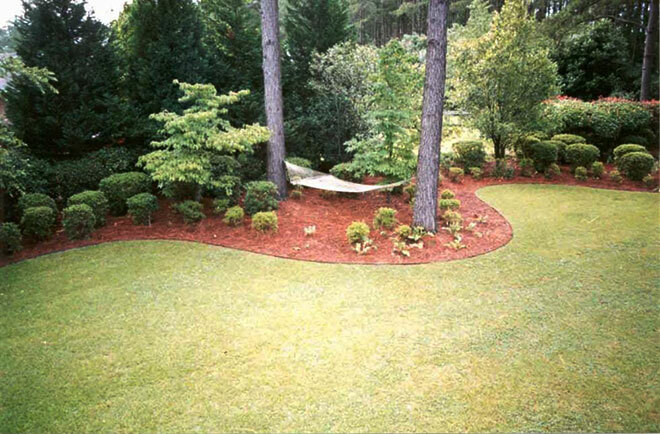 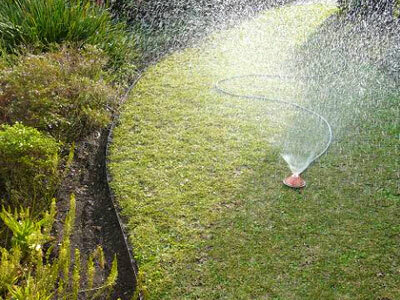 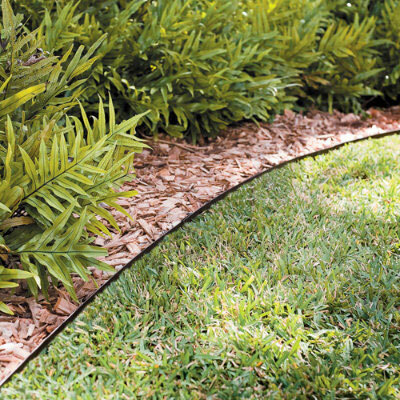 Dura Edge Steel Landscape Garden Edging® is the permanent solution to the age-old problem of maintaining neat edges for lawns, driveways, path edges and flower beds. 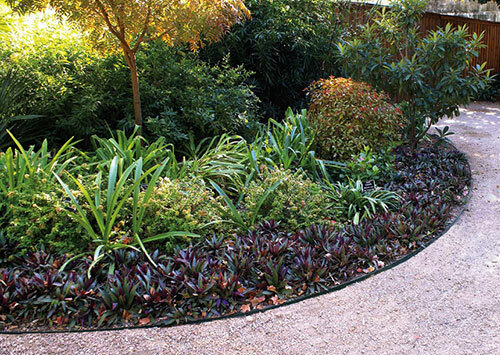 Manufactured from galvanised heavy duty steel this unique garden edging product is available in 1.2 m lengths and in 3 different heights. 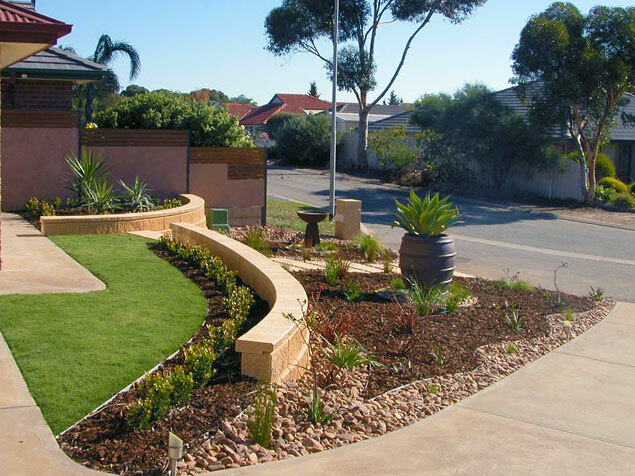 Dura Edge can be used in a variety of soil conditions and because of the gauge and nature of the steel, Dura Edge can simply be bent to form any curve or corner required.